There are already 430,000 Greek cultural and historical items, while over 100,000 items are now included in Europeana! 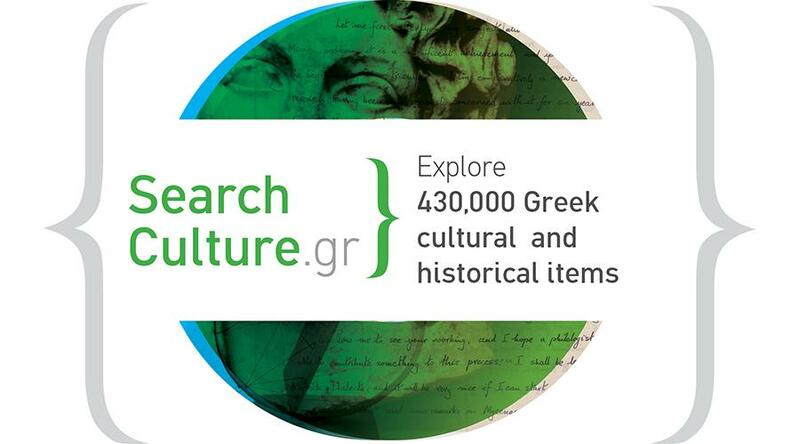 More than 430,000 Greek cultural heritage records are now available on SearchCulture.gr, EKT’s aggregator for cultural content. Enriched with new functionalities, SearchCulture.gr offers better exploration of the continuously increasing number of cultural collections to be discovered in it. The aggregator has already contributed 100,000 items to Europeana, the European digital library, augmenting the volume of Greek cultural content available to international audiences. Also, new, intangible heritage content has been added to SearchCulture.gr, from the collections of the Hellenic Folklore Research Centre Academy of Athens. EKT’s goal for SearchCulture.gr was to provide one single point for aggregating all Greek publicly funded digital cultural content and to offer it up to the public to enjoy and benefit from. Through SearchCulture.gr, EKT aggregates national cultural content, ensures continuous access to it and feeds it to Europeana, thus increasing its findability, reuse and the international reach of quality Greek digital content. In addition, organizations which feed their content to SearchCulture.gr can ensure its long-term preservation by depositing it in EKT’s Preservation Service. EKT enriches, homogenizes and organises the aggregated content of SearchCulture.gr using item types and temporal information by developing vocabularies and advanced data mining and semantic enrichment tools. This allows for search and hierarchical navigation of the content by selecting type, date and historical periods or using interactive elements such as cloud tags for types or timelines. Users can submit complex queries such as ’sculptures of the classical period’ or select a type, eg ‘vessel’, and then, using filters, navigate through historical periods or centuries to explore the evolution of pottery throughout the history of Greek culture. The cultural content aggregator SearchCulture.gr provides access to more than 430,000 items from 63 cultural collections from 52 institutions, with that content constantly being enriched with material from new institutions. Organizations with digital collections wanting to be part of a growing network of cultural institutions (museums, archives, antiquities authorities, local authorities, universities, associations and cultural organisations) can express their interest here. Participating organizations in SearchCulture.gr have the added benefit of wider exposure on a national and international level, as their content gets sent to Europeana, and thus gains visibility and wider reach. Traffic to the organization’s repository and web site are increased by redirection links. The resources that make up the collections can be text, sound, image, video, map or digital-born content (eg an interactive game) and chronologically could be from any period of Greek history and art.